There are 13 Student Senators representing the undergraduate student body on the McGill University Senate. Each Senator is elected for a one-year term by their respective constituents, typically the undergraduate students in a specific Faculty or School. 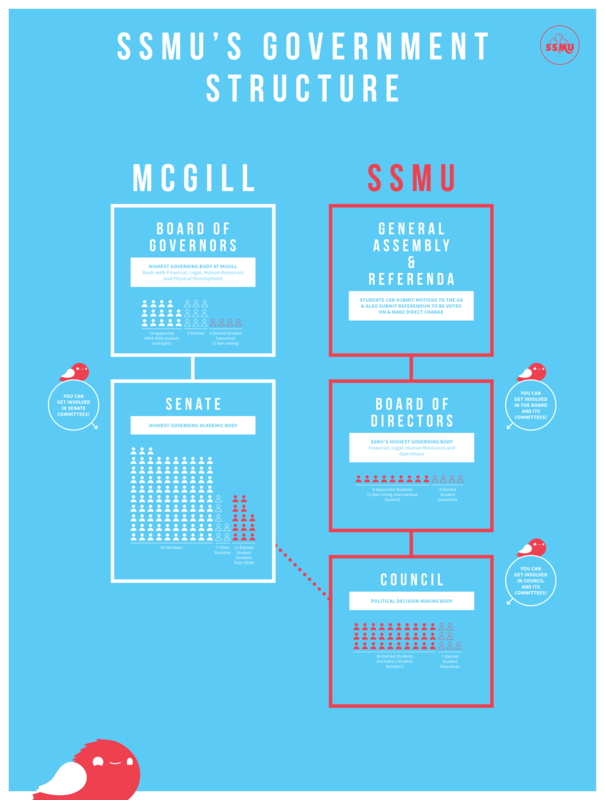 The McGill Senate is a governing body of the University tasked with general control and supervision over academic matters. It is composed of 113 voting members broadly representative of the University’s constituencies (faculty, staff, students, administrators, Governors and alumni). Senate meetings regularly take place on the third Wednesday of every month, at 2:30 PM in Room 232 of the Leacock Building (see the dates here). Meetings are open to the public and are live-streamed online (archived for one month). The more detailed aspects of the Senate’s work take place in various university committees, most of which have undergraduate representation coordinated by SSMU. Seats for student representatives on these committees are filled by Senators as well as students-at-large through an application process. For more information about these committees (including a list of current student representatives), click here. The 13 Undergraduate Senators convene every Monday at 6:30 PM in the SSMU Office for the weekly Senate Caucus meeting. These meetings are an opportunity to strategize and discuss the state of their various advocacy efforts, committee meetings, and constituency projects. These meetings are open to all SSMU members: any student can attend to observe or to raise a topic concerning student life. If you wish to attend, please notify the University Affairs Secretary General at uasecgen@ssmu.mcgill.ca. 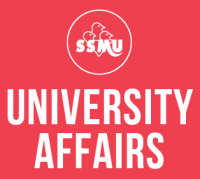 Beginning in January 2016, the SSMU Senators publish bi-weekly reports of the work they do in various committees, the Senate itself, as well as any projects that they undertake. The reports are posted on the University Affairs blog and archived below. Wondering what SSMU does and how it relates to McGill? Watch the video below to find out!